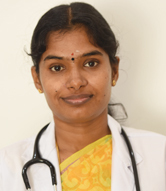 Worked as Registrar in Malathi Manipal Hospital in Department of Paediatrics and Neonatology 2010 - 2011. As an Assistant Paediatrician in Children's Trust Hospital 2013 – 2014. During the work tenure, involved in managing Paediatric Emergencies, Neonatal Transportation Calls. General Paediatrics ( Growth Development, Immunisation, Allergic disorders).